The holidays are one of the best times of the year—spending time with family, shopping for gifts, eating great food, and sending out year-end giving appeals. Yes, ‘tis the season for year-end giving—at least for those of us who work for churches and nonprofits. Why? Simple. Churches and nonprofit organizations depend on donations. And the end of the year is traditionally the time when most charitable giving takes place. Planning for end of year donations isn’t always easy for church leaders. Partially, because most of us don’t like to talk about money. But also because we’re already so busy with planning for Christmas. So how does your church increase year-end giving? Here are five steps to get you started. Most churches and nonprofits start their year-end giving push in November. Some begin asking for these year-end gifts as early as September. That might be too early for your church, but it still shows the importance of not waiting until the last minute. Asking for year-end gifts isn’t a one-time thing—it’s a process. To have a successful year-end fundraising campaign, you’ve got to show people why giving matters. And that takes time. More time than you get when you start at the last minute. Plan so that you don’t get caught up in the busyness of the holiday season. Give yourself time to get ready to ensure you make the most of the end of the year giving push. One reason for starting your year-end giving ask early is because you’ll want to ask for donations more than once. Asking for year-end giving more than once might make you uncomfortable. But your church needs donations to continue operating. So you’ve got to talk about money. Make sure people are aware of that. It often takes more than a few touch points before people take action. So don’t be afraid to ask for donations multiple times, and in multiple different ways. How church members can donate should never be a barrier to if they donate. Unfortunately, that’s the case for too many churches. 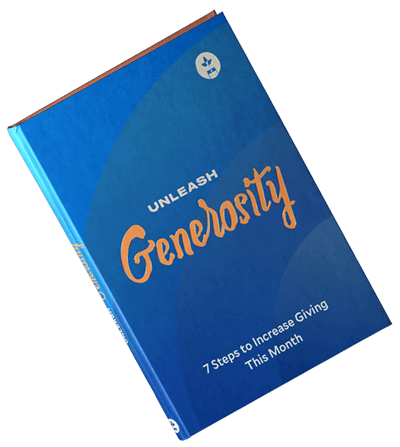 Often, churches have outdated giving systems that make it difficult and confusing for members to contribute. Your job as a church leader is to remove as many of those barriers to giving as possible. Part of that is offering a few different ways to give. That could range from giving in person at the church, to texting a donation through their phone. Multiple giving avenues make it easier for more people to participate in year-end giving. Take away any excuses for why church members might not give. The method of giving is one barrier for church donors. The other big one is the reason for giving. Why should people support your church financially? You may not be asking yourself that question, but potential givers certainly are. The reason why goes beyond just what the Bible says. Sure, God calls us to be generous with your money. But why specifically should people be generous to your church? What are you doing in the community that should compel people to direct their year-end gift to you? The more clearly you explain why people should give, the easier it will be for them to do so. People aren’t driven to action because of what—they follow the emotion behind a powerful why, which leads me to my next point. Perhaps the best way to explain why is by telling stories. Stories connect with people on a deeper, emotional level. Stories about how your church is using donations demonstrate the importance of year-end giving. Don’t just tell people it’s important, show them with a story. Someone came to Christ because of a small group. Share any type of story that highlights the difference your church makes because of donations. Real life stories about transformation will inspire more year-end gifts than statistics. The stories you tell this holiday season can lead directly to greater financial stability at your church.